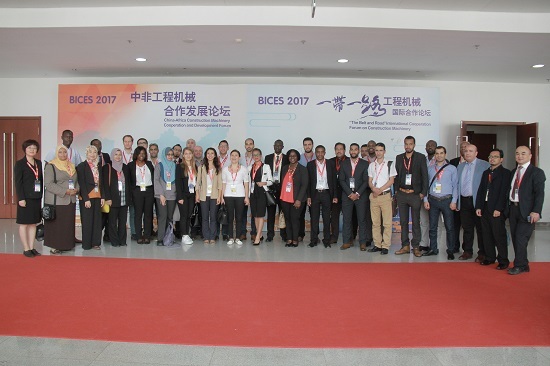 BICES 2017 Sings“The Belt and Road”, the Guests at Home and Abroad Together Holding Construction Machinery International Cooperation Event! This forum is the first top business forum held by construction machinery industry since President Xi putted forward initiative of“The Belt and Road”, with purpose of promoting trade and cooperation between China and “The Belt and Road”countries in the field of construction machinery and to push China's construction machinery enterprises to expand overseas markets. 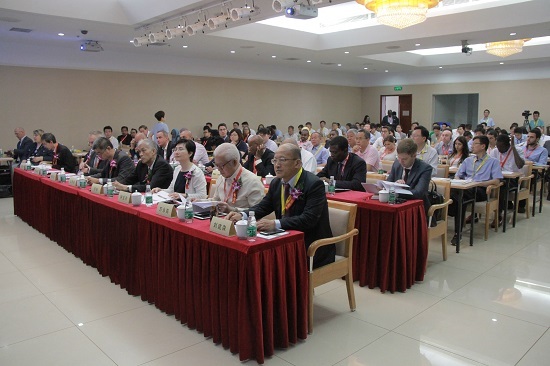 The forum hosted by Mr. Yan Jianguo, Deputy Secretary General of China Construction Machinery Association. Welcome Address delivered by Mr. Qi Jun, Chairman of CCMA and Mr. Wang Guiqing, Vice Chairman of China Chamber of CCCME. The representative of Trade Representation of the Russian Federation in China, Mrs. Donlaporn Ajavavarakula，Minister Counsellor，Investment Promotion Section, Royal Thai Embassy, Mr. Hermilando I. Mandanas,Batangas governor Philippines, Mr. Wang Falin , Director of Complete Equipment and Engineering Department of CCCME, Mr. Wu Peiguo, President of China SINOMACH Heavy Industry Corporation and Mr. Liu Jiansen, Assistant President of XCMG and General Manager of XCMG IMP&EXP CO.,Ltd were all invited to given speeches on the forum.Mr. Chiito Sta. 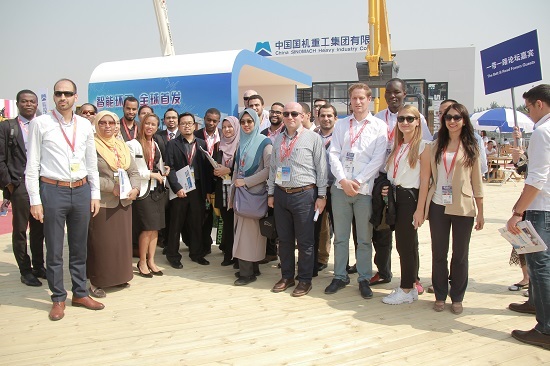 Romana Ambassadorof Embassy of the Republic of the Philippines Beijing, the representatives of commercial department of emabssies of Saudi Arabia, Bosnia and Herzegovina and Ghana in China, 35 governmental representatives from 16 “The Belt and Road”countries also were invited to attend in the forum. intelligent, informatization, comfort, energy saving, safe and reliable etc. It could be expected the cooperation between China and “The Belt and Road”countries will be more and more closer flowing with “The Belt and Road”countries economic rise and the development of China's construction machinery industry.We look forward to extend and enhance this all-round cooperation by this forum. Mr. Wang Guiqing said the“The Belt and Road”countries always priority develop the infrastructure projects. As the industrial grand event, BICES builds a important platform for communication and cooperation between the countries and enterprises. China is a big construction machinery producing country in the world, the production volume of concrete machinery, crane, excavator, loader and roller rank No.1. over the world. This July, Chinese construction machinery export volume of “The Belt and Road”countries accounted for 49.8% of the world's total. There are 10 countries of “The Belt and Road” enter into the top 15 of largest export volume of China construction machinery. In such a trend, the construction machinery enterprises should seize the strategic opportunity ,broaden horizons and develop competitiveness for the next competitive cycle. The guests from Russia, Thailand and Philippines respectively gave a great speech with detailly elucidation about their countries’ investment policy, infrastructure building situation, large projects plan and the demand for construction machinery. The speeches are rich in the content and took the site with warm atmosphere, which fully espress main idea of the “The Belt and Road”and make bridge for building of peaceful road, flourishing road, opening road, innovative road and civilized road . 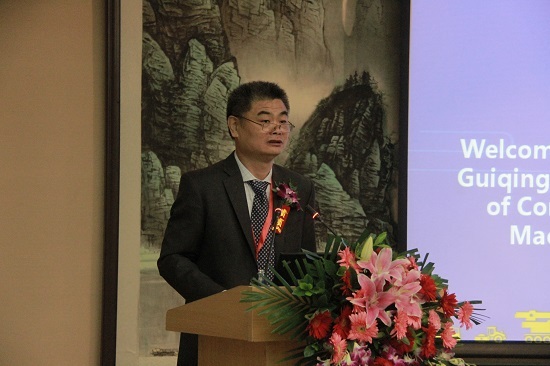 Mr.Wang Falin clarifed the situation of demand for construction machinery under the projects of "The Belt and Road", gave the enterprises with a fully understanding about trade status and development potential of Chinese construction machinery in the "The Belt and Road" countries. 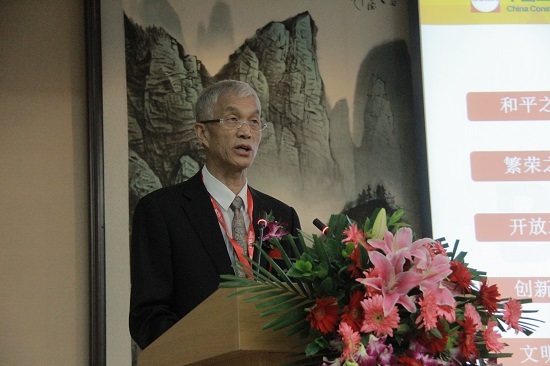 Mr.Wu Peiguo and Mr.Liu Jiansen also make vivid introductions showing people the fruitful achievement achieved by China construction machinery exterprises under the guide of “The Belt and Road”during 4 years. 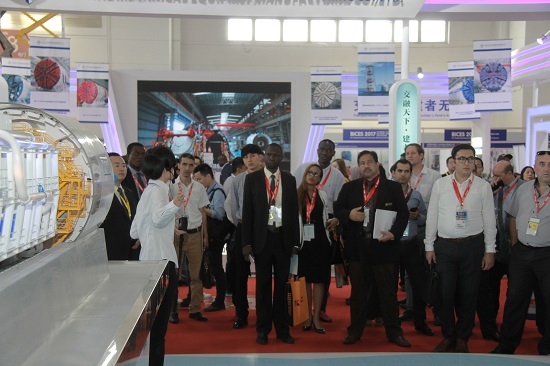 After the forum, the guests continued to visited BICES accompanied by Mr.Yan Jianguo, paid attention to the part of important exhibitors and characteristic areas. Brand enterprises such like SINOMACH, XCMG,LIUGONG, SDLG, SUNWARD ect made a detail introduction on site for the guests. Meanwhile, the guests also visited 4-Stange Emission area, Xuanhua area, Suizhou area, Shield Machinery area etc. They all marveled at what huge achievement gained by China construction machinery industry and express strong desire to develop trade cooperation with China brand enterprises in the further. This forum takes "The Belt and Road" as an important opportunity to promote trade and cooperation between China and “The Belt amd Road” countries in the field of construction machinery,to help the construction machinery enterprises developing overseas markets using national incentive policy of international capacity cooperation and its own advantage through along with vision of "The Belt anf Road ".